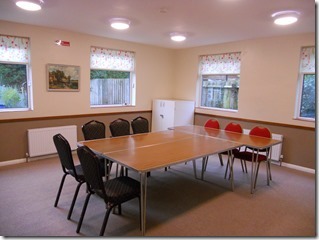 Separate Meeting Room recently refurbished. 5.4m x 5.2m with own entrance and toilet facility. Additional chairs and tables available. Fixed White Board.